We have been building Intranets for a long time. We took some of the most useful features and packaged them up in an easy to use no hassle service. 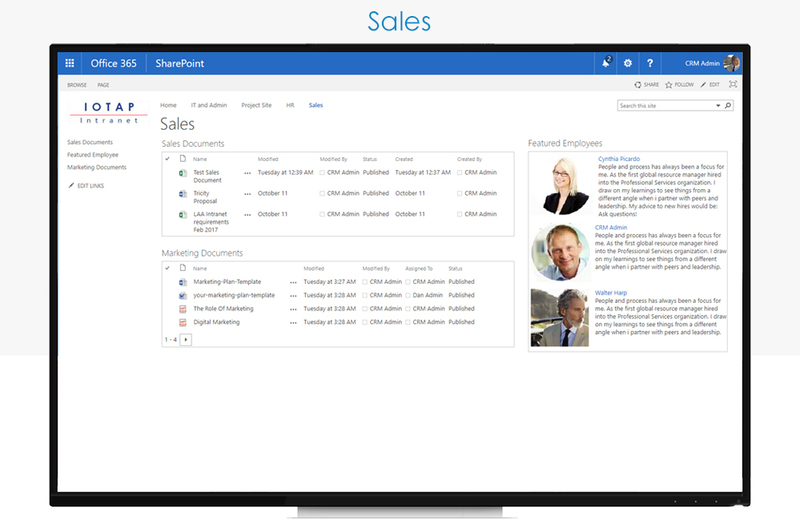 The Smart Intranet Suite is a business solution that transforms Office 365 and SharePoint Online into a intuitive and flexible operational portal that serves as the hub for business and team interaction and collaboration. 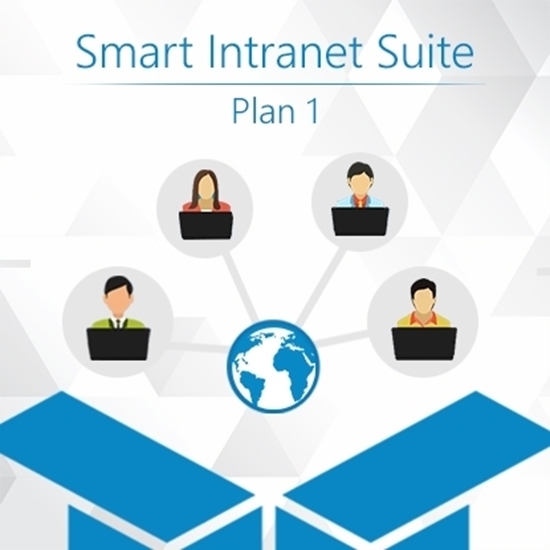 How Will the Smart Intranet Suite Transform Your Business? Manual and partially automated business processes. 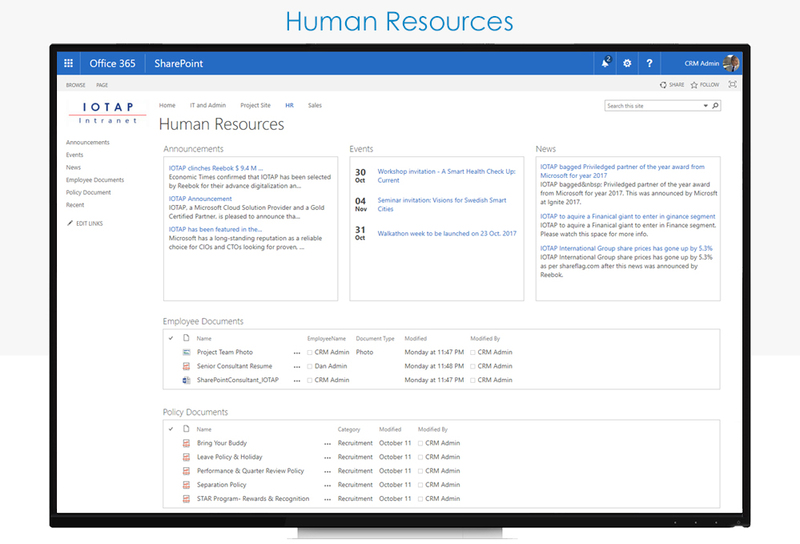 Leave Management App for SharePoint simplifies employee leave management by reducing the amount of work involved in leave administration and employee follow ups. The Common workspaces for all project collaboration come inbuilt with a project Task creator and a timeline to mark off those important milestone dates. Intuitive and easy to use apps which users can quickly collaborate on to break out of siloed workspaces. The service comes packaged with the purchase of Smart Intranet Suite. It is designed to help your business get the most out of its investment as quick as possible Quick Start includes installation, setup, and basic configuration of the Smart Intranet Suite on the Office 365 platform. 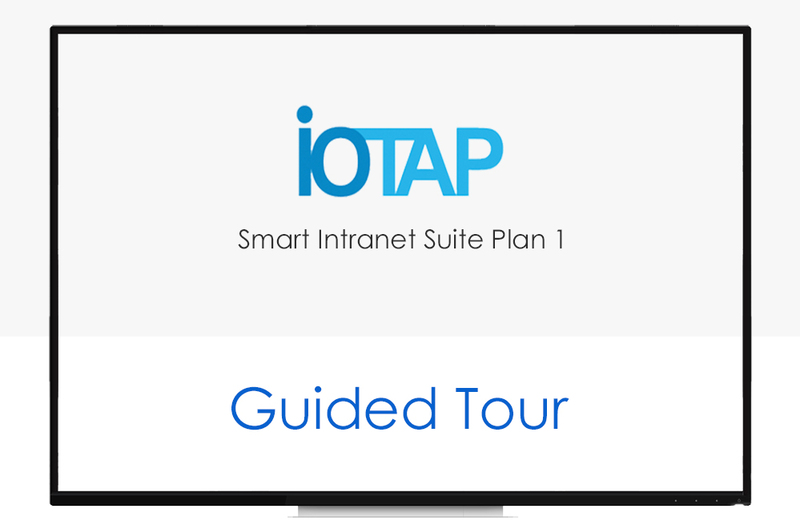 IOTAP Customization services can transform your Smart Intranet Suite portal into a vibrant business automation platform which boosts employee productivity and engagement. It can help automate processes to build timebound tasks and deliveries apart from defining escalation matrixes across various teams. Using a structured consultative approach, IOTAP takes your business from requirements discovery, design and development to implementation. We charge on an hourly basis or can provide a statement of work with a project price estimate for well-defined projects. Q) Who is a typical Smart Intranet Suite customer? Q) Why don't we just use SharePoint out of the box? A) If you deploy SharePoint out of the box, you need to figure out the concept for your Intranet and then implement it into your SharePoint environment. 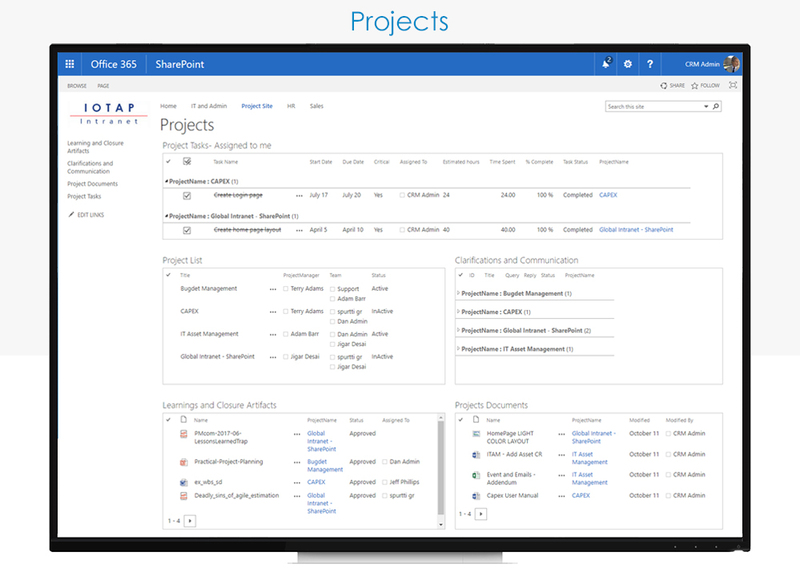 Whether or not you decide to customize your SharePoint or not, the process of creating a new Intranet with SharePoint takes a lot of time and requires special expertise, both concept-wise and technically. With Smart Intranet Suite, your content producers can start focusing on the content from the very first day. Q) Is Smart Intranet Suite available in my country? 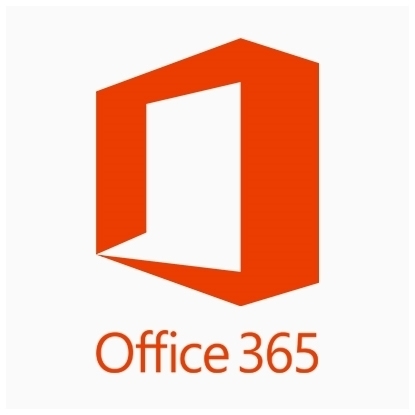 Q) Which version of Office 365 is required? A) Office 365 based Intranet implementations require an active SharePoint Online subscription from Office 365. Each person who accesses SharePoint Online must be assigned to an Office 365 plan with SharePoint Online Plan 1 or SharePoint Online Plan 2 usually included in Business Essentials, Business Premium or Enterprise plans. Q) Is an Azure subscription required? A) Although the Smart Intranet Suite Essentials package does not need any external services, an App Service component of Azure may be needed for advanced functionality. Q) Does Smart Intranet Suite Intranet work with on-premises SharePoint Server? A) Smart Intranet Suite is fully compatible with SharePoint Online. 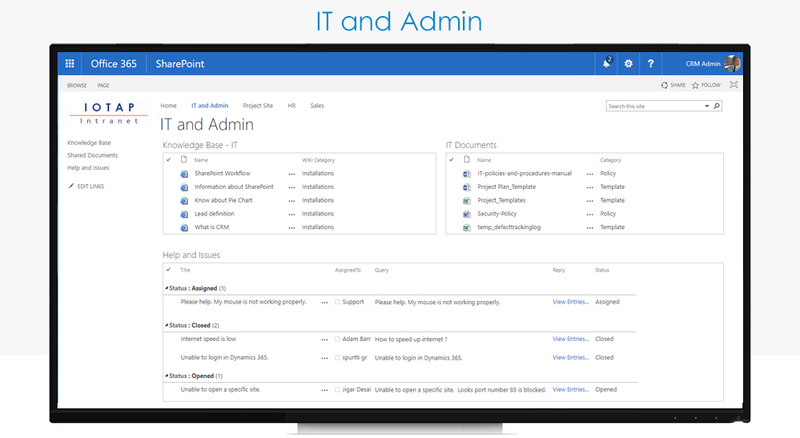 For On-premise SharePoint versions please contact sales at sales@iotap.com. Q) What is the license model? A) The Smart Intranet Suite is licensed by the number of SharePoint Online licensed users. Q) Is it possible to give Smart Intranet Suite a try before purchasing it? A) Yes. 30 days Trial use is possible. Please contact us at sales@iotap.com to setup a trial. Q) How can I get updates to my Smart Intranet Suite ? A) Smart Intranet Suite Product Team is publishing new product releases on a regular basis. Smart Intranet Suite Update subscription gives a customer an access and usage right to the releases during the validity period of the contract. Q) Is there a set-up fee or other additional costs? A) Smart Intranet Suite is a ready-to-go solution. Additional customizations to the standard solution may add costs. Please share your specific requirements with us to get a custom quote. Q) Can I customize Smart Intranet Suite? A) Yes. 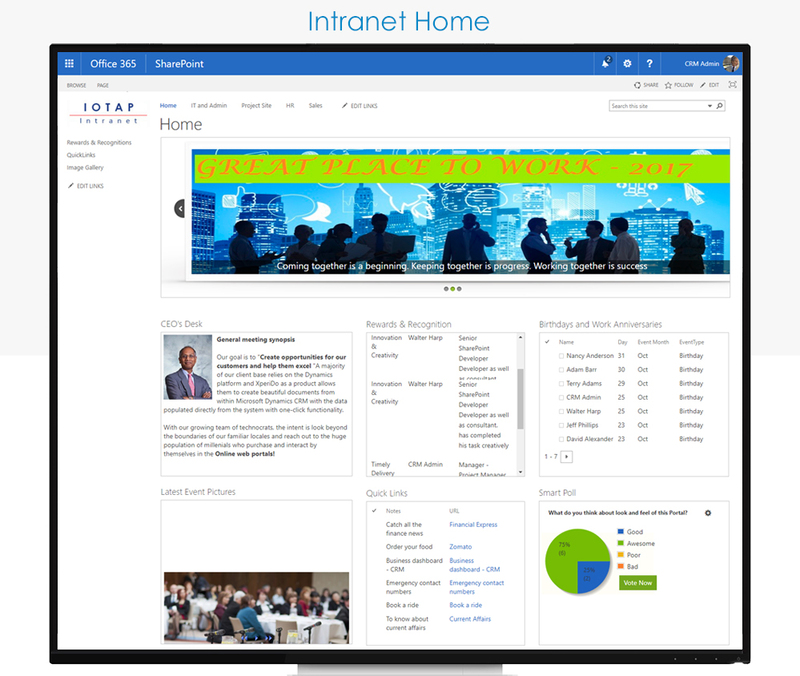 After the initial deployment, the Intranet works just like any SharePoint environment. You can add new web parts, create new customizations, etc. Q) How long will Smart Intranet Suite take to deploy? A) Smart Intranet Suite Intranet can be deployed in matter of days. Q) Can I use Smart Intranet Suite with my mobile phone or tablet? A) Yes. Smart Intranet Suite is built using modern mobile friendly web site designs and adapt to all kind of devices. The SharePoint Mobile app can be freely downloaded and is intuitive to configure with user credentials. Q) What is the history of Smart Intranet?